Thailand’s economy has traditionally relied on agriculture and manufacturing, but, as with many Eastern economies, things are changing. Talking to the Bangkok Post in 2009 the Thai Prime Minister Abhisit Vejjajiva said he wanted Thailand to become ‘a country of thinkers’ and that he hoped to see the value of the country’s creative industries rise from 12 per cent to 20 per cent of gross domestic product by 2012. Bangkok University is central to that vision, and the Bangkok University Creative Centre (BUCC), designed by Supermachine Studio, has been conceived as a place where the country’s next generation of creative thinkers can come together, pool their talents and inspire one another. Located on the first two floors of Bangkok University’s new four-storey BU Landmark Complex, the centre provides a workshop, library, exhibition space, viewing room and office for use by students from across all of the university’s creative faculties. ‘The facility is meant to be very open, playful and expressive, to encourage students to communicate within a creative environment,’ says Pitupong ‘Jack’ Chaowakul, one of Supermachine Studio’s four architects. 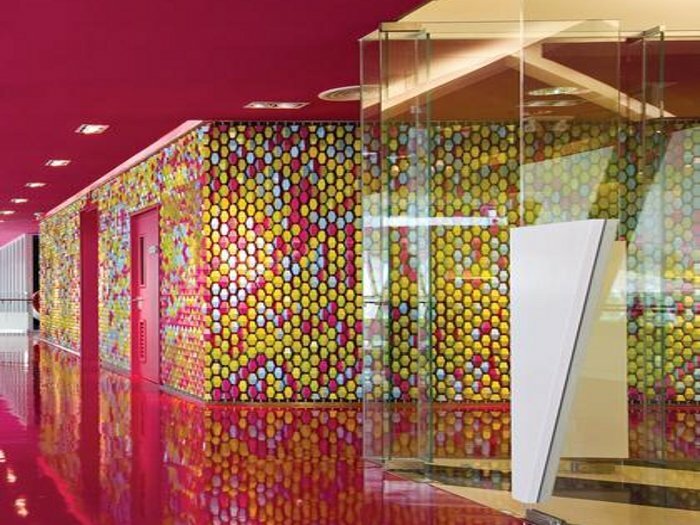 One of the standout design features of the scheme is the ‘lo-fi pixel wall’, which covers 180 sq m of wall space in the building’s lift core and is made up of 10,000 individually rotating plastic ‘pixels’, each with four different coloured faces – pink, blue, green and yellow. 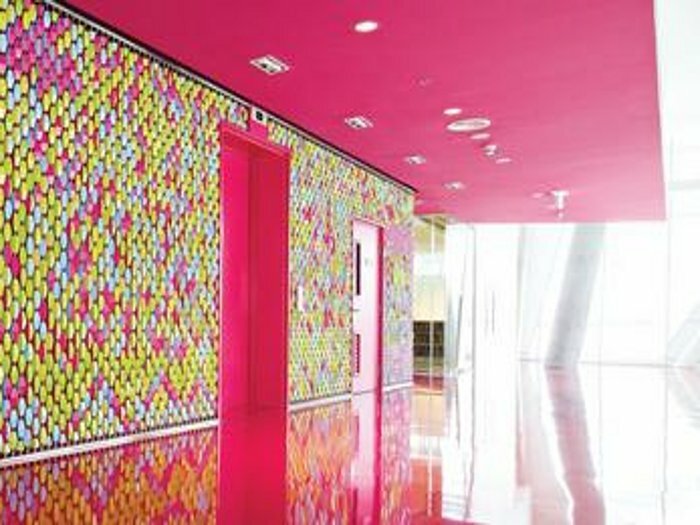 Students can change the colour of the wall and create patterns simply by rotating the pixels by hand. 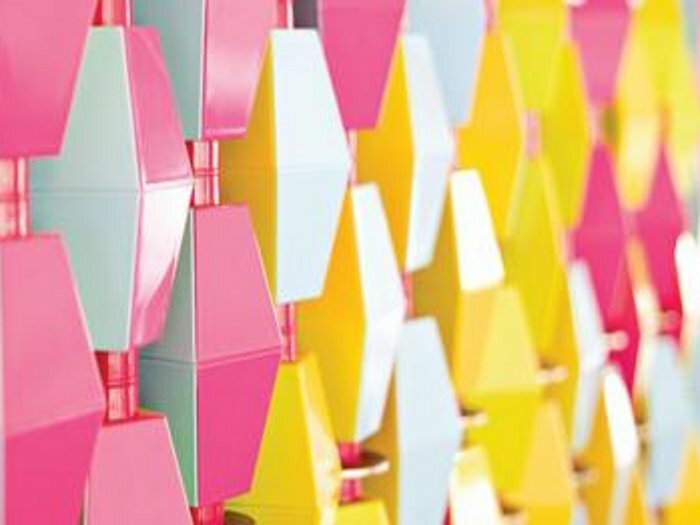 ‘They can leave messages for their friends on the wall, as well as experimenting with its colour pattern, so the wall will be constantly changing,’ says Chaowakul. The floor in the lift core, made of self-levelling epoxy, is a shocking pink colour to match the pink faces of the pixels. According to Chaowakul, the facility for students to alter the look and function of the centre is crucial to its role as a creative space, and many of the other elements in the BUCC have been designed to support this principle. 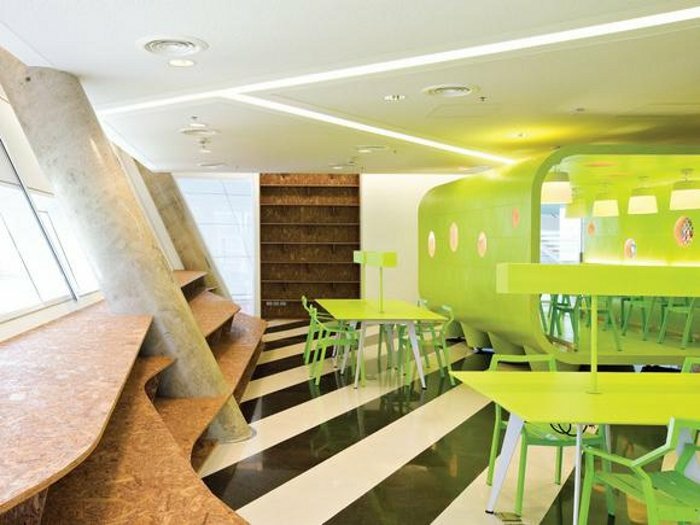 In the workshop, for example, workstations where students can use their laptops have been housed inside a Supermachine Studio-designed unit made of steel with a lime green laminate finish, which Chaowakul calls the ‘spaceship’. 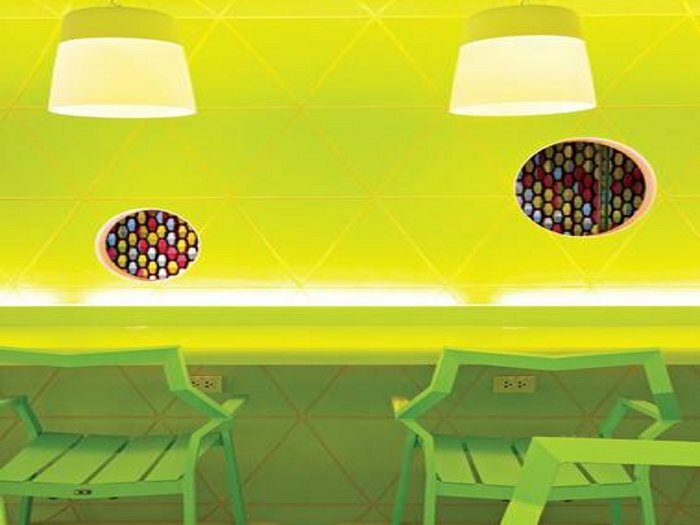 Furnished with Palladini Frame Chairs in lime green and Ultra Modern Pendant Lights by Lightscape 360, the spaceship can be moved into different corners of the room to make space for presentations and other group activities. Supermachine Studio designed most of the furniture for the workshop and the BUCC office, including curved bookshelves made of oriented strand board, and the designers were keen to give the space as much flexibility of usage as possible.